Mage/Tank hero concept - Creative Exchange - Mobile Legends: Bang Bang - Powered by Discuz! Specialty: A tanky mage hero that cast time sphere to trap enemies within and able to deal decent damage to an area of enemies. Krauss is a god of time and space and has been the protector of the thousands of realms. His superior control over the time and space enables him to create portals and time barriers. He would often use these powers to redirect courses of two realms in collision or to prevent monsters from travelling from one realm to another. He does not intervene to any race's conflicts if it does not involved travelling to other dimension or destroying realms. Not until Zhask and his race who are from different a dimension has invaded hundreds of worlds among the three thousand realms. As time progress, he patiently absorbs the power of time and space until finally, he is able to control even the reality. Now Krauss set his foot to the land of dawn to pursue this insolent creature who dared violate the realms he's been protecting for billions of years. Every 60 seconds, Krauss has the ability to go back in time. When Krauss dies, he would resurrect and go back to the area where he still has 30% of his max hp. This effect stacks up to 3 for every minute giving him hp of up to 50%. Krauss traps the area around him in a mysterious time barrier that deals magic damage every second that lasts 5 seconds and make the enemy moves in slow motion. Enemies still trap in the barrier for 3 seconds will be immobilized for 1 second. Krauss casts a dimensional portal in a maximum of two. Once a portal is placed, Krauss can place another portal within its 40yards radius and can use it to travel back and forth including allies. (These portals does not expire) This portal can be spotted and destroyed by enemy and will be unusable if there is only one portal placed in the battlefield. This portal can also see enemies in the bush when placed in it. Krauss sends a nearby enemy target to the past and creates an illusory copy of that hero for 4 seconds. This copy does not move and can be attacked by Krauss and ally heroes or units. When this copy dies, the target hero dies as well. The target hero can escape by going farther away from the copy's 15yards radius. 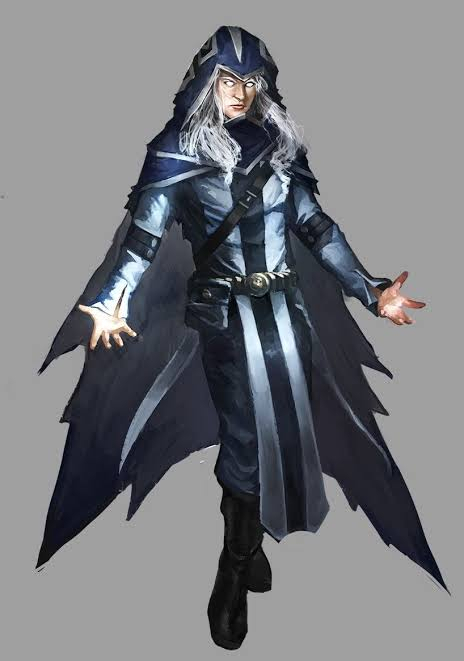 Passive effect: Krauss absorbs the power of time and space in which his magic power is converted to armour and magic resist while armour and magic resist is converted to magic power. Krauss traps the entire 20 yards around him into a powerful barrier in which allies and enemies can't pass through for 8 seconds. Incoming damage from outside the barrier is nullified while outgoing damage from inside the barrier is also nullified. cool hero concept things i like is the third skill, the passive is ok but make it 100 secs cool down and the ult doesn't make sense to me so magic power turns into defence and then back to magic power....ok but why? then the barrier traps people...how? It depends on how a player will play him. If the player wants this hero to be tanky when he ults, then he should build magic items. But if he wants the hero to be burst type when ult, then he would need tol build tanky items for it. It like switching from mage to tank or from tank to mage. And his ult is a spherical barrier that traps everyone inside it. They can't pass through it as well as the ones outside. If someone outside tries to attack someone inside with either melee or range attacks, it will be nullified. The same goes with someone inside tries to attack someone outside the barrier. It literally traps everyone inside. But Krauss and allies can get out of it if he happens to place portal inside the barrier. Do you get it now or what? Annd yeah, allies and the enemies inside are the only ones to damage one another. Its a trap where you and your enemies can't escape. With this ult, you can gank enemies with zero chance of escaping on their end. While you and your allies can escape from it if you place portal inside the barrier. So he has built in immortality on his passive. That is really unique passive i must admit. It is kinda op i think. He has 4 skill set so that is also new for tank. Please submit this hero concept to in game cs as well.